There is an other story appearing when looking at Barycentric subdivision. If one counts how the number of points grows under subdivision, one can encode this with a single universal matrix A whose eigenvalues are k!. The eigen vectors of its transpose are produce Barycentric characteristic numbers, where the first one with eigenvalue 1 is Euler characteristic. The picture immediately shows that Euler characteristic is unique in the sense that it is the only valuation which is a homotopy invariant assigning the value 1 to points. 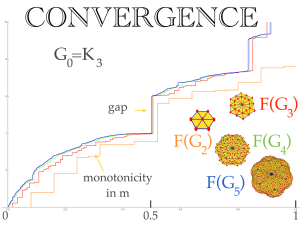 The other invariants scale under Barycentric refinement. But there is a surprise: for geometric graphs, half of them vanish! This is related to Dehn-Sommerville-Klee invariants which have been known for a while. 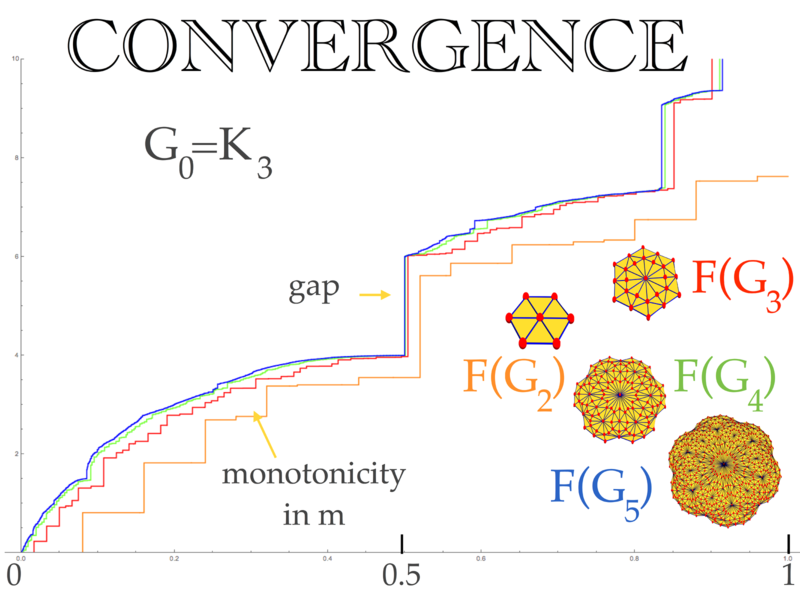 One can prove this elegantly using ideas from differential geometry: there is a Gauss-Bonnet, Poincare-Hopf result as in differential geometry or differential topology (its just much easier to understand). It turns out that Gauss-Bonnet is the expectation over Poincare-Hopf if one averages over all possible functions (waves). This is very nice. And now the quantum calculus ideas discussed before in the context of the Sard theorem kicks in. One can write the Poincare-Hopf indices (integers!) as invariants of smaller dimensional spaces allowing induction. This is outlined here kept as a 2 page document so that can be tweeted.